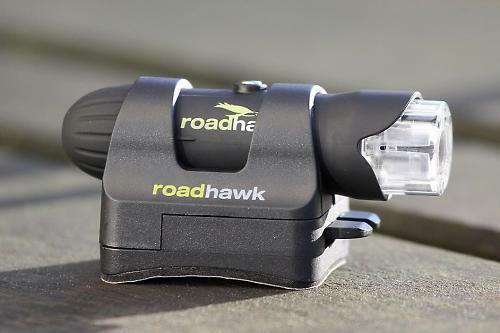 RoadHawk's RIDE camera is a useful bullet cam for recording your commute, just in case anything untoward happens. It has some specific features that are well suited to evidence-style recording, but also a few niggles. In the box you get the camera plus a plethora of different mounts: for your helmet, for your goggles, a velcro strap for a riding hat (the RoadHawk is aimed at horse riders too) and a flat-surface mount for sticking it to your motorbike, if that's your thing. 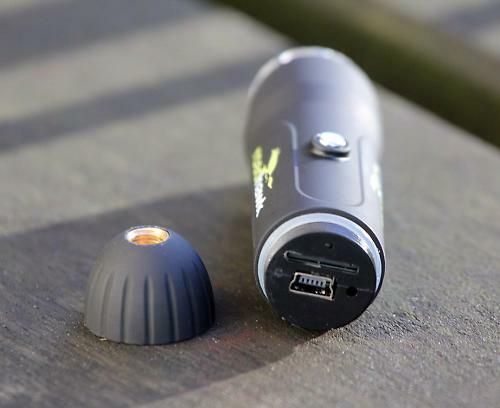 There's a kit for hard-wiring into a motorbike's battery, a variety of rear caps that cover the SD card and USB slots, a charger and an 8GB micro USB card that's good for about 2 hours of footage. The RIDE couldn't be simpler to use: you turn it on. It's either on and recording, or off, there's no separate record button. Normally that'd be a problem because your card would fill up in no time, but that's not an issue here: the RIDE records video at 720P resolution in five-minute chunks, and if the card fills up then it just deletes the oldest chunk and carries on. You can get hold of the video (which is also timestamped in the bottom right hand corner) by plugging it into your computer with a standard micro-USB cable. Most of the time you won't want to, though: the idea is that it's a record of your ride in case you need one and the most likely reason for that will be an altercation. It's evidence, basically. I've picked this particular footage for a couple of other reasons too, as it shows up some specific niggles with the mounting. The RIDE snaps into a curved holder (it mounts best on the side of a helmet) but because it's completely round you often find you've put it in on the slant when you review the footage. You can remedy that by taking off the end cap and making sure the SD card slot is straight, but you don't always remember to do that. Well, I didn't. The other issue is making sure that the camera is pointing exactly where you want it. The wide-angle lens is wide enough to capture a good field of view but it's not so wide that you can just stick it on with impunity; even small variations of helmet position on your head noticeably alter the framing of the shot. I thought I had the RIDE set up fine, but in this case my helmet must have been a bit low on my forehead. There's no viewfinder or screen so it's trial and error. That's not an issue that's confined to the RoadHawk though, it's true of all small cameras. The RIDE is completely waterproof (submersible to up to 10m) so the weather won't faze it, and it's pretty good in low light too, so it's a good all-year-round solution. RoadHawk claim a recording time of 90 minutes but I found it was more like an hour; even so, that should be enough for most people's commute. To get it fully waterproof you have to use the sealed endcap, which means you don't get much by way of sound. There's a more permeable option if sound's important. 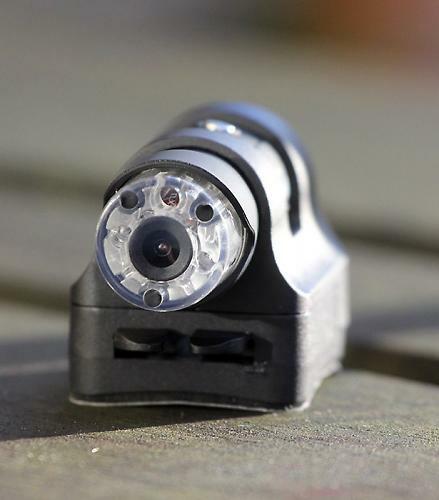 All in all, if you want a camera simply to keep a record of your rides in case you need to show it to the authorities, then the RIDE is a good option. It's light and easy to mount, the footage is good (and time-stamped) and it's a durable little unit. If it does pack up you get a two-year UK warranty. You can pick up minicams for tuppence ha'penny on ebay these days but if your aim is to continually record your commute in all weathers, just in case, something like the RIDE makes good sense. Well made, waterproof to 10m. Good 720P footage and time-stamped for use as evidence. Sometimes hard to frame. Very light, practically unnoticeable on a helmet. Did you enjoy using the product? Works well for intended job. Would you consider buying the product? For specifically recording a commute, yes. Just out of interest, how good is?, " pretty good in low light", my commute is in darkness both ways at this time of year. That battery life is poor isn't it? Means it'll go on charge every single evening/night so will lose capacity pretty quickly. I've been using one of these for the last nine months or so. Overall I'm really pleased with it, and the auto overwrite is great meaning i only have to do anything with the SD card when there's a video i want to do something with. Low light performance isn't great - you can't make a lot out from the recordings unless you're on a road with really good street lighting. If you search on YouTube there are quite are few review / demo videos you can check out. I find the battery life OK. I tested it by charging it and wiping the card then leaving it recording until the battery ran out. At the end of it I had 18 five minute segments, so about as claimed. I find the battery warning light comes on quite a while before the battery actually runs out. I might test it again to see how the battery is holding up, but I've not noticed much loss of battery life. I usually charge a couple of times a week but my commute is fairly short. 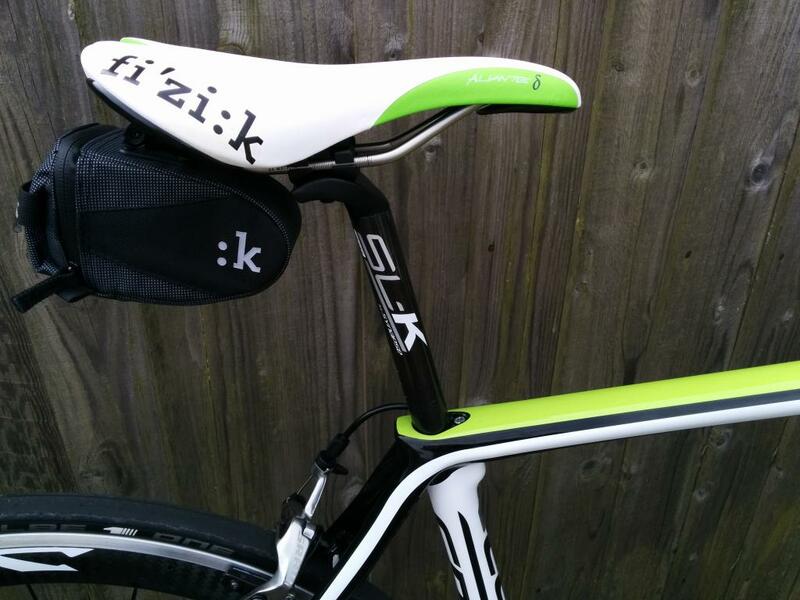 Overall I'm really happy with the purchase and unless your riding takes in a lot of unlit roads if recommend it. I guess it's not of much use to me at this time of year, with a mixture of unlit, poorly lit and very well lit roads on my commute. In my case twice a day, after 15 months it's dead, but that's about the claimed number of charge cycles, definelty go for a removable battery with the next one. Its pretty poor in very low light but acceptable on street lit roads. One major issue I have with it is the lack of clear indication in terms of on and off: so many times where I have thought I have been recording ride footage, then stopped it for the breaks or boring bits only to find that all I have recorded is the boring bit. They really need a more visible recording indicator or audible beep on commencing filming. Pic quality is ok though.